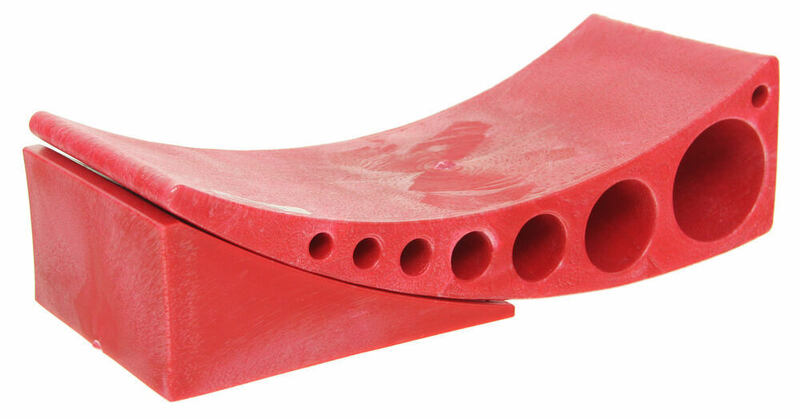 Lowest Prices for the best wheel chocks from Andersen. 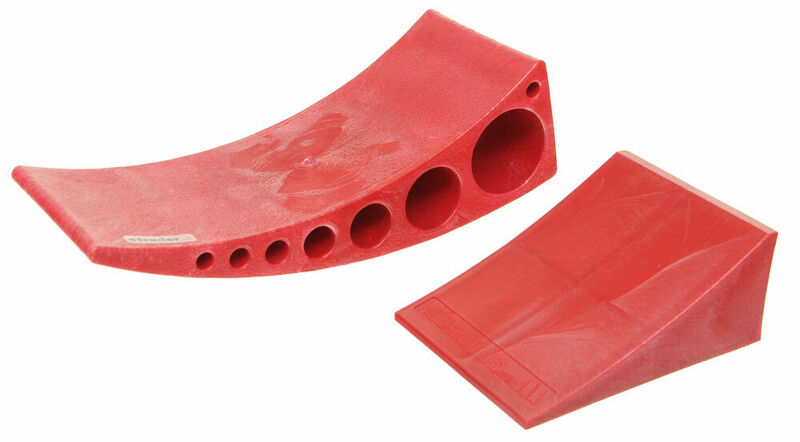 Andersen Camper Wheel Chock and Leveler part number AM3604 can be ordered online at etrailer.com or call 800-298-8924 for expert service. Provides leveling at any increment from 1/2" to 4"
Today we'll be reviewing part number AM3604. This is the Andersen camper leveler. One leveler is included, along with one chock. This is going to provide leveling at any increment, from a half-inch, to four inches. At its lowest point, we have a measurement of a half-inch. Then at its highest point, we have a measurement of right at four inches. This is going to work great on trailers up to 30,000 pounds. The way this works is, you would place the wedge in front of, or behind, the tire of your trailer. That way you can actually drive on to these, or you can back on to them. Your tire is going to come on, here. It's going to level itself out with the leveling system. 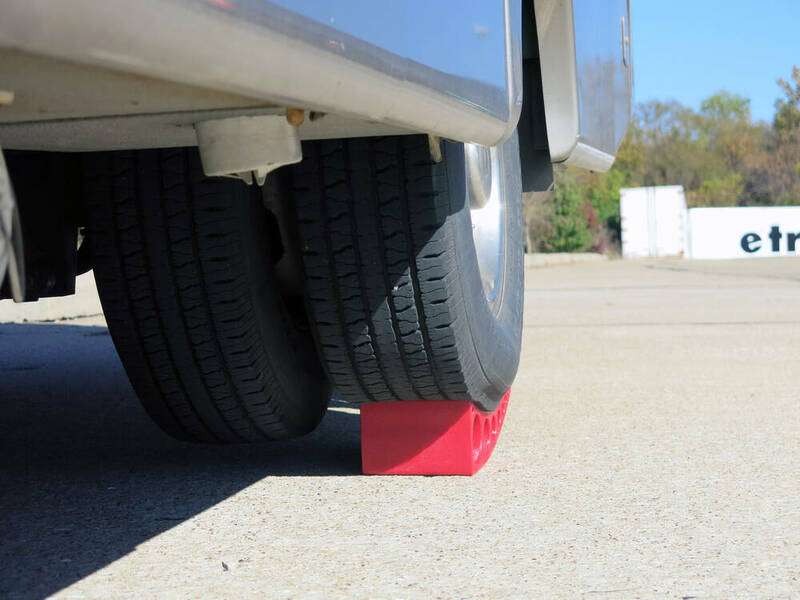 Once you have that correct increment that you're looking for, between a half-inch to four inches of needing to be level, then what you can do is, you can take your chock, and place it under your leveler. You can see how the chock is cut to match any position that the leveler is positioned at. 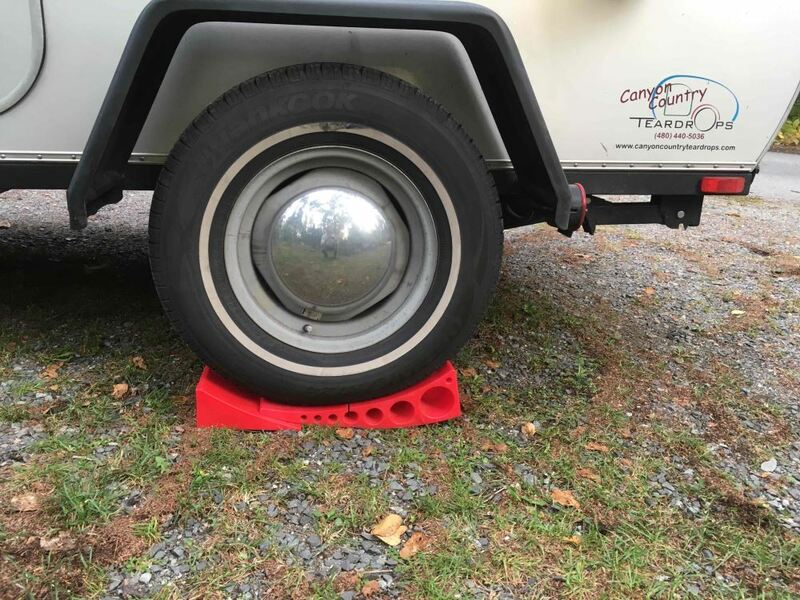 Another great feature about this system is, once you're ready to move your trailer off of the levelers, you don't have to get in there and struggle to really pull this out from your tire. You can simply just remove the chock, and drive your trailer off the front. This is going to flip up behind your wheel, and then you're good to go. Just grab your two pieces and put them into your storage compartment or under your vehicle, and you're ready to get on your way. Another great feature about this is that it is just two pieces. There's no assembly required. A lot of leveling systems out there, you have to build or place together. 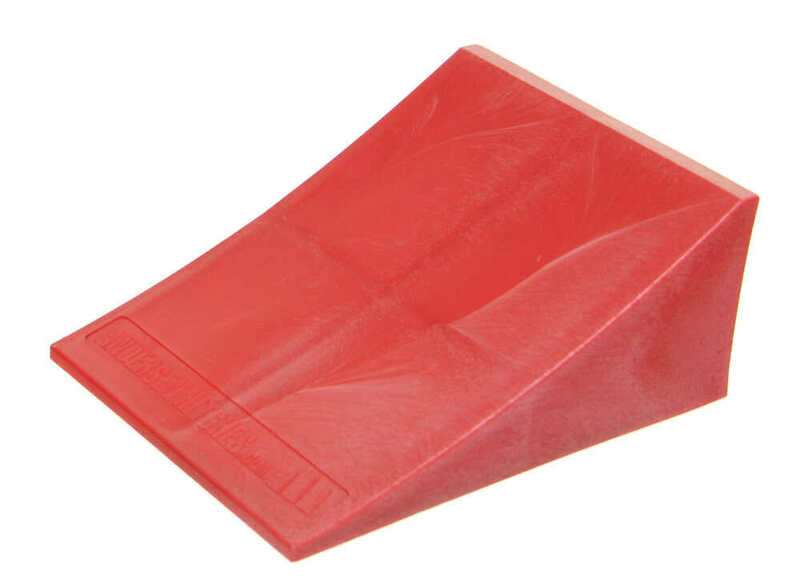 In some cases, a lot of people that don't want to use chocks, will wedge a rock underneath their leveler. This is a really sturdy and stable unit. It's going to work great for your application. A few dimensions that I would like to go over is, we have an overall length of right at 15 inches. Again, the height is four inches, and this provides a width of right at six inches. That's going to complete today's review of the Andersen camper leveler, part number AM3604. 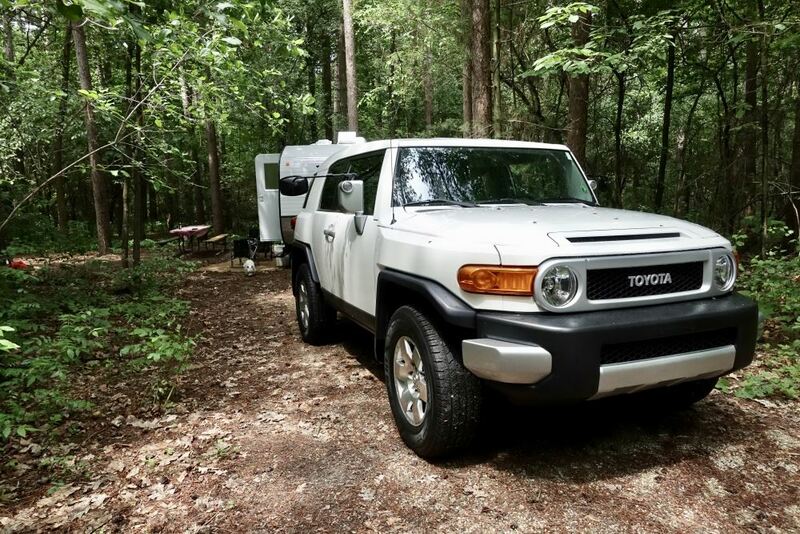 The Andersen camper levelers work as advertised. Im very pleased with them. They make leveling super easy. I have probably helped several other camper owners decide to buy a pair for themselves. Everyone who has asked about them was already familiar with them, but were wondering how they actually work. I recommended them highly. Fabulous product! These chocks make leveling the trailer easy. Im back home after a 72 days trip across North America, Canada and USA. 33 different campgrounds or RV Parks. My Andersen Levelers made my 33 setups so quick and easy ! They are the best accessories I bought for my travel trailer in the past 7 years. So useful ! Wow its been a year and my wife and I use our trailer at least once a month either traveling to festivals or to visit family and friends. Each time we go out, we use the leveler! Its quick easy and doesnt take up any space. I would recommend everyone through away or burn all the 2x4 or 2x6 boards and get this Anderson Camper Leveler!!!! We still LOVE these wheel chocks. They have made leveling our motorhome apiece of cake! I am really surprised I do not see more of these, as we travel! GREAT product! I like the product a lot. Super easy to use, way better than blocks. We use these on just about every camping trip. 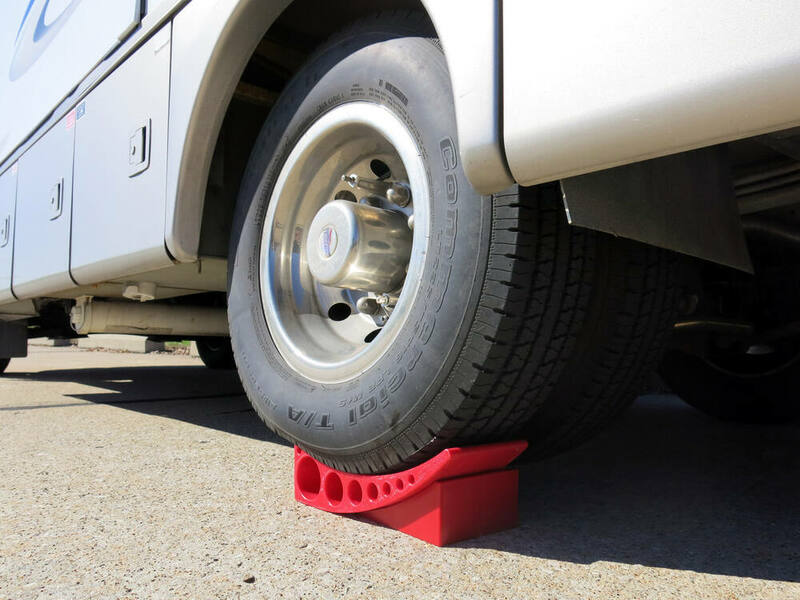 Easy to use and we have our RV level from side to side in no time. 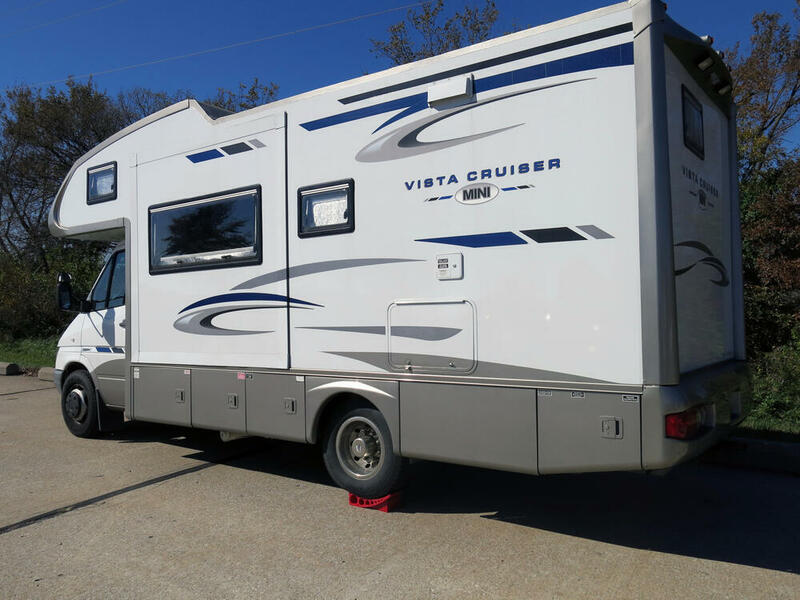 Don, Do i need too buy two sets for a 2 axle travel trailer? Hi. Question on cutting. How did you know you had to cut. On my trailer I can fit in between the the leveller will touch the other tire. I dont think I have to cut but not sure. It would be best to buy two sets, if you buy one, the leveler will only lift one of the two tires and the other tire will stay on the ground. You would only get half as much leveling lift. I still do like both. Still works great. People ask me about them when they how easily I can level my trailer w/o a spotter. The levelers are covered by a 3-year warranty. Please call our Customer Service folks at 800-298-8924. The product is covered by a 3 year warranty. Please contact our Customer Service folks at 800-298-8924 for details. Do you have a question about this Wheel Chock? The only silly question is the one unasked. You can use just one of the Anderson Rapid Jack # AM3620 on your single-axle trailer. This leveler is USA-made from 100-percent recycled materials. If you have a multi-axle trailer then instead use # AM3604. I have confirmed with my contacts at Andersen, and for a tadem axle trailers one leveler # AM3604 should be used per axle for stability purposes. So for your application you would need 2 of these levelers. 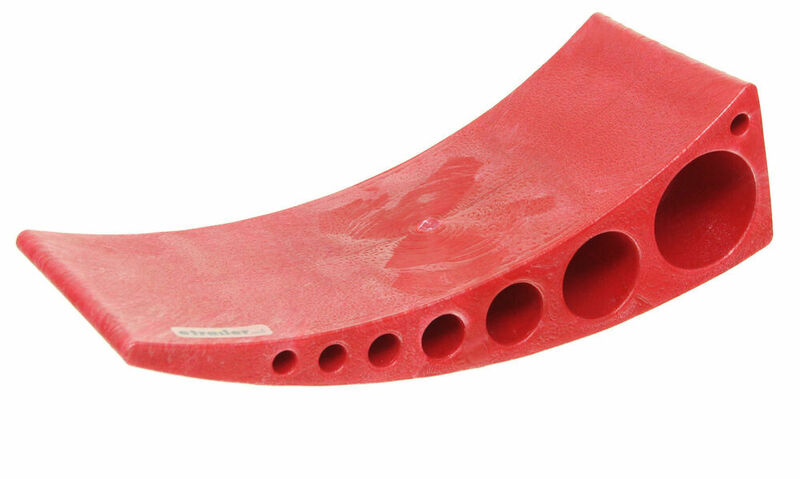 This leveler provides from 1 inch to 4 inches of lift depending on the configuration needed. I have also included a short video review of this product for your reference. 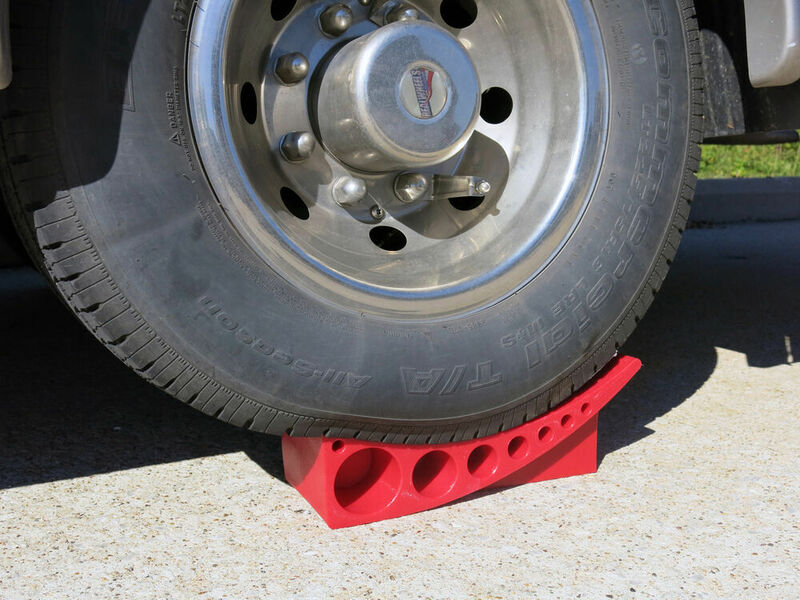 For a trailer leveler that can go up to 5 inches you would want the Blaylock EZ Jack and Wheel Chock # EZ-JACK. I attached a review video for this product for you to check out as well. For use as a wheel chock you would only need to use two of the part # AM3604 to keep the trailer from moving. Securing each of the wheels would not be necessary. I attached a demo video for these for you to check out as well. 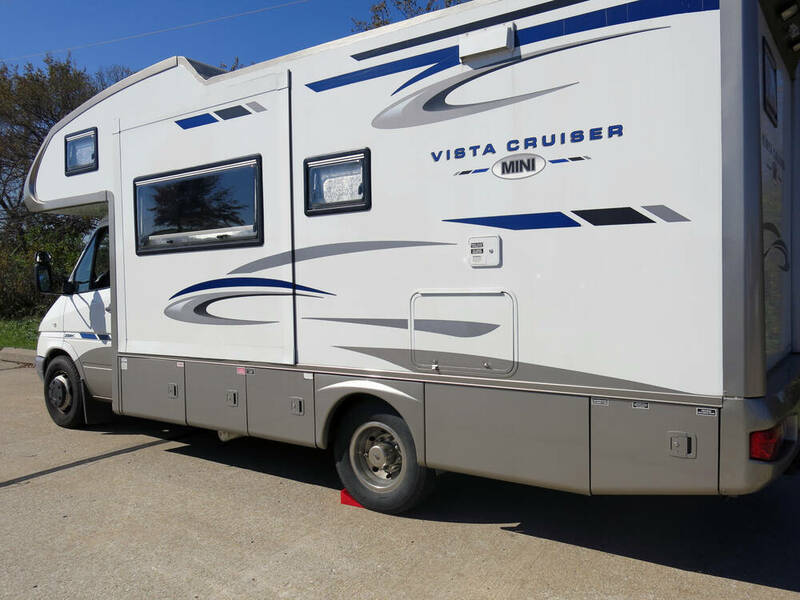 I spoke with my contact at Andersen about your Motorhome and getting it level. They told me that there would be no issue with the tires being 1 inch wider than the Andersen Camper Leveler, part # AM3604. 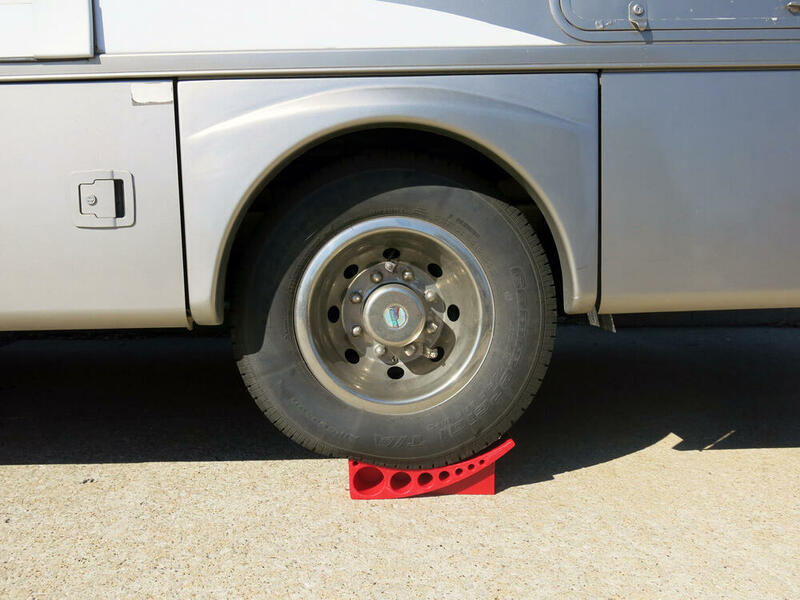 This provides 4 inches of lift for your motorhome and includes a chock to make sure the wheel stays in place once you find the level you are comfortable with. They did recommend using these on the inside wheel which would make it a bit more stable. 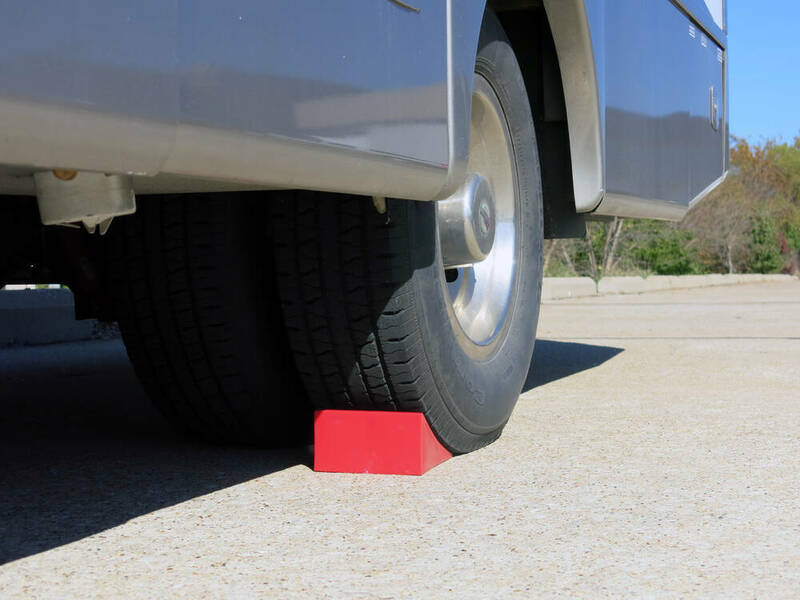 Only one set of the Andersen Camper Wheel Chock and Leveler # AM3604 is required to prevent a trailer from moving. Preventing one side of the trailer from moving is all that is needed to prevent the whole thing from moving. We had a customer come back and say that they used a miter saw to cut their Levelers part # AM3604 down to the right size and it worked well. That would probably be the safest method so it would be what I would recommend. 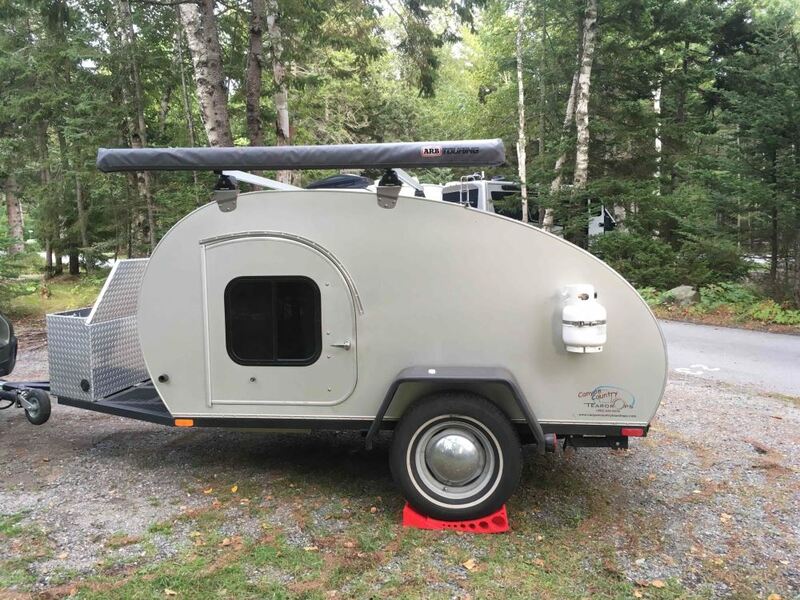 I spoke to my contact at Andersen and he informed me that the Andersen Camper Leveler part AM3604 that you referenced has a lifetime warranty. If it ever were to break they would replace it for free. He also mentioned that he has sold thousands of these and has maybe had to replace 5 due to them breaking. Nothing is indestructible, but I would almost guarantee these would not break for you. They are also made in the USA. Check out the review video I attached as well. 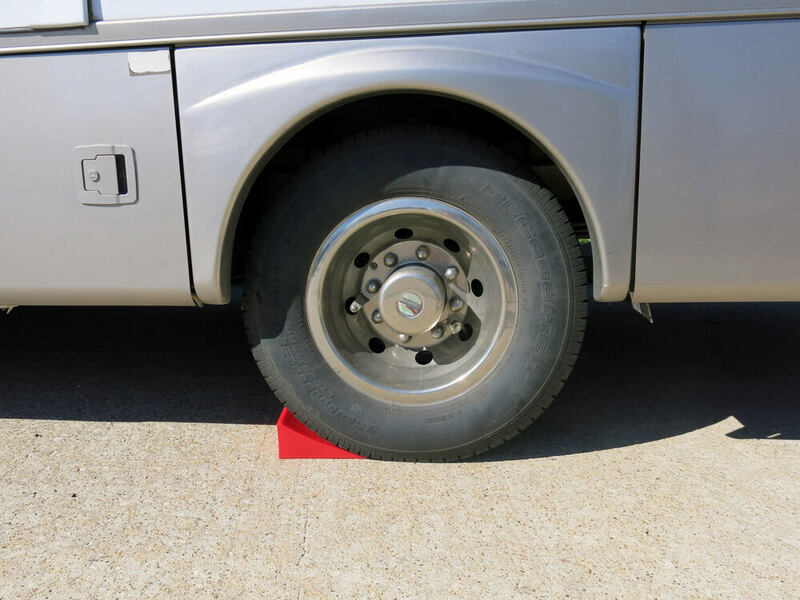 To use the Andersen Camper Leveler, part # AM3604, you would either pull forward or back on the leveler and then place the wheel chock under the edge of the leveler to make sure it does not shift. 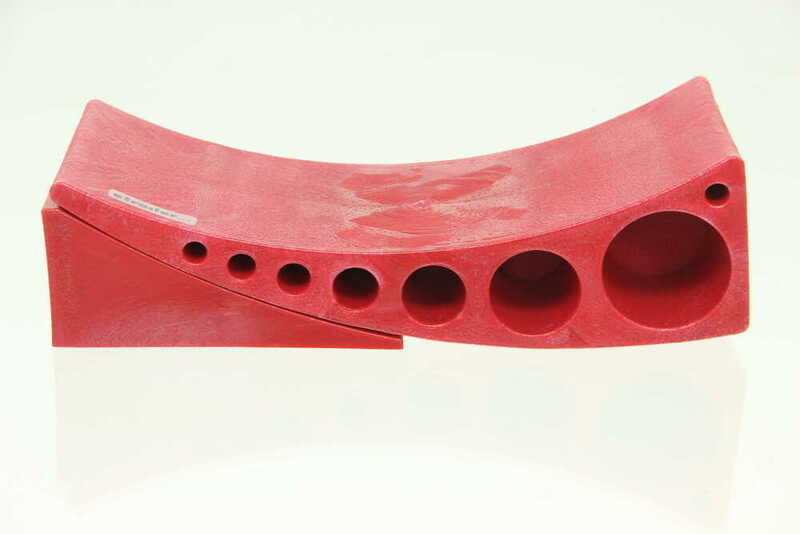 The contacts at Andersen have confirmed that only one leveler is needed per axle. I have attached a product review video for the leveler you can check out. 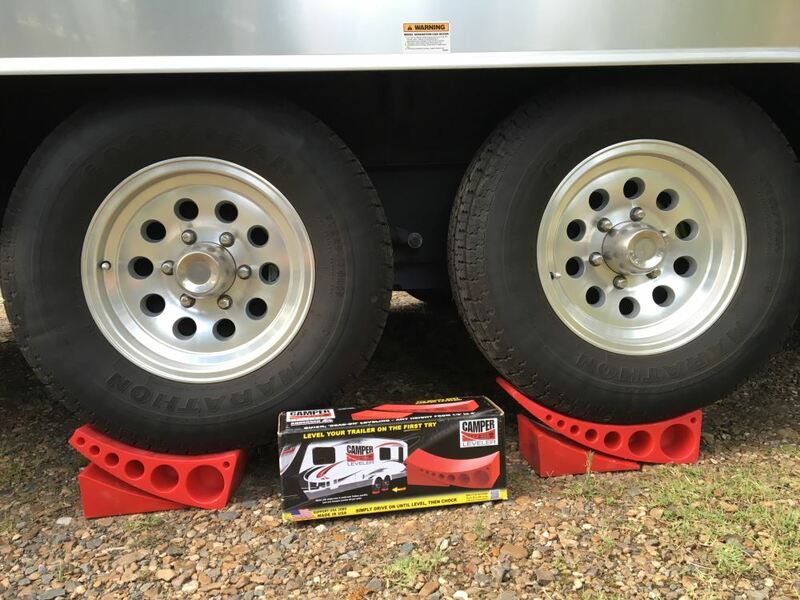 Thank you for your many purchases from etrailer, including your recent purchase of two of the Andersen Camper Wheel Chock and Leveler # AM3604. 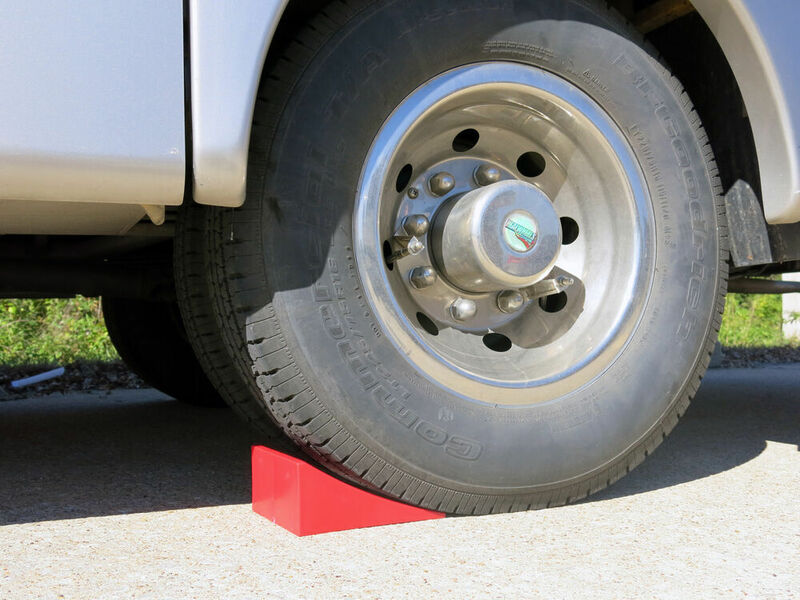 The 4-inch maximum height of this leveler is not going to provide enough lift to get the bad tire of a tandem axle trailer off the ground high enough to allow you to remove it and install the spare. The similar Rapid Jack # AM3620 is almost 3-inches taller and this extra height allow it to lift the trailer enough to change a tire. You would likely not have to use 4 of the camper levelers # AM3604 on your dually Class C motor home. However, if you used just 2, one on each side, then the weight would be just on one of the tires on each side instead of all 4 tires. If you used just 2 I recommend using them on the inner most tires on the dually axle so less stress is put on the axle. I spoke with my contact at Anderson and he said your brother-in-law can use the Anderson Camper Leveler, part # AM3604, on his two axle camper with torsion bar suspension as long as he uses levelers on both axles. 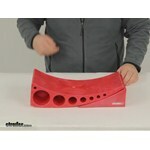 I have included a video review of these levelers for you to check out. Highest quality wheel chocks for the best price. Most detailed, accurate wheel chock information available.